The WHO public health strategy for palliative care requires enabling policy as one of its three key pillars (alongside drug availability and education) (Department of Health 2003). A major recent driver of palliative care as a core component of health systems around the world has been the World Health Assembly Resolution on Palliative Care (Department of Health 2008a). Expansion of access to appropriate, high-quality of palliative care for adults and children irrespective of country will require the emerging field of global health palliative care research (Department of Health 2008b) to inform the WHO public health strategy. In recent years, we have also greatly increased the evidence base which underpins and supports appropriate policy (Economist Intelligence Unit 2015). In this chapter, we draw on recent policy developments from different parts of the world: from the birthplace of the modern palliative care movement, the UK; from South Africa, which has promoted a strong model of advocacy, provider networks, and academia; from Southern and Eastern Africa, which have advanced policy and provision rapidly in recent years; and lastly from the field of pediatric palliative care, which has specific policy considerations. African palliative Care Association. Palliative care in education programmes. 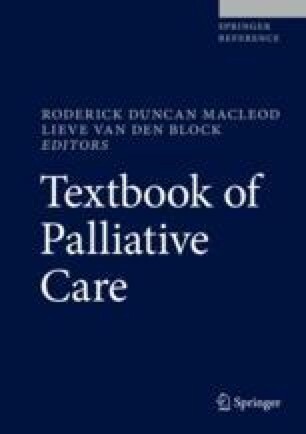 2017. https://www.africanpalliativecare.org/integration/palliative-care-in-education-programmes/. Accessed 21 Mar 2017. Government of Zimbabwe. Zimbabwe National HIV and AIDS Strategic Plan (ZNASP) 2015-2018 http://www.nac.org.zw/sites/default/files/ZNASP%20III%20Final%20(1).pdf. Accessed 23 Mar 2017. Ministry of Health Uganda. Strategic plan for cervical cancer prevention and control in Uganda 2010–2014. 2010. http://www.iccp-portal.org/sites/default/files/plans/PATH_Uganda_cxca_strat_plan_2010-2014.pdf. Accessed 23 Mar 2017. National AIDS Commission Malawi. Malawi National HIV and AIDS strategic plan 2011–2016. 2011. http://www.safaids.net/files/malawi_national_hiv_and_aids_plan_2011-2016.pdf. Accessed 23 Mar 2017. Republic of Kenya Ministry of Public Health and Sanitation and Ministry of Medical Services. National Cancer Control Strategy 2011–2016. 2011. http://www.ipcrc.net/pdfs/Kenya-National-Cancer-Control-strategy.pdf. Accessed 21 Mar 2017. The Government of the Kingdom of Swaziland. The second national multisectoral HIV and AIDS strategic plan 2006–2008. 2006. http://www.sarpn.org/documents/d0002279/Swaziland_AIDS_plan_Jun2006.pdf. Accessed 21 Mar 2017. The United Republic of Tanzania Ministry of Health and Social Welfare. National Cancer Control Strategy (NCCS) (2013–2022). http://www.iccp-portal.org/sites/default/files/plans/NCSS%20Book.pdf. Accessed 23rd Mar 2017. UICC. Increasing access to opioids in Africa. http://www.uicc.org/advocacy/increasing-access-opioids-africa. Accessed 23 Mar 2017. World Bank. World Bank Country and Lending Groups. 2017. https://datahelpdesk.worldbank.org/knowledgebase/articles/906519-world-bank-country-and-lending-groups. Accessed 4 Apr 2017. World Health Organisation. Health financing for universal coverarge. http://www.who.int/health_financing/universal_coverage_definition/en/. Zimbabwe Ministry of Health and Child Welfare. The national cancer prevention and control strategy for Zimbabwe 2013–2017. http://www.iccp-portal.org/sites/default/files/plans/CANCER%20STRATEGY%20FINAL%202013%202017.pdf. Accessed 23 Mar 2017.